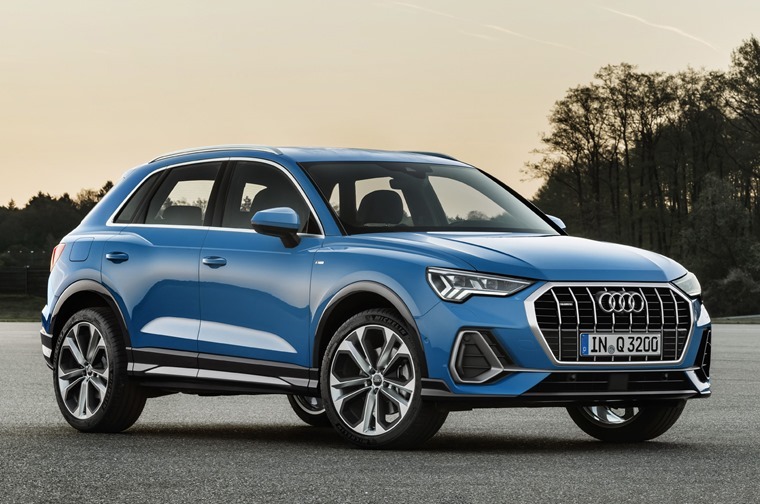 The second generation of the popular Audi Q3 has finally been revealed ahead of its on-sale date towards the end of the year. Taking on a sharper and more contemporary look, the most noticeable change is in Audi’s huge single-frame grille broken up by vertical chrome strips. Similarly the haunches are more pronounced while the tail-lights are slimmer and wider. Designed to look sportier, it also features large side air-inlets, Quattro-inspired contours and with the S line exterior package, the bumpers, sill trims and diffuser look decidedly sporty. All of this means the car is 97mm longer compared to its predecessor as well as 18mm wider and 5mm lower than before, while the wheelbase has been stretched by 78mm. The interior continues the sporty design of the exterior and just like the top-of-the-line Audi models it does away with analogue dials. As such it features a digital cockpit and a large MMI touch response while the instrument panel is divided into two levels: the top part includes the air vents; the bottom section incorporates the large octagonal area with its black-panel look. The touchscreen infotainment system, measuring either 8.8in or 10.1in depending on the trim level, incorporates Audi Connect as standard. This includes tech which allows similarly-equipped cars to communicate regarding things such as the availability of parking spaces or weather warnings. The optional ‘Audi connect Navigation & Infotainment plus’ add-on package also features other innovative services such as Google Earth integration. As standard, the compact SUV is fitted with a multifunction leather steering wheel, air conditioning and LED headlights. The rear seats, which can be adjusted fore/aft and for tilt, the height-adjustable loading floor along with numerous storage compartments make the vehicle extremely versatile. The Q3 also comes with a range of assist systems, including lane departure warning, Audi pre sense front, the light/rain sensor and the adjustable speed limiter. 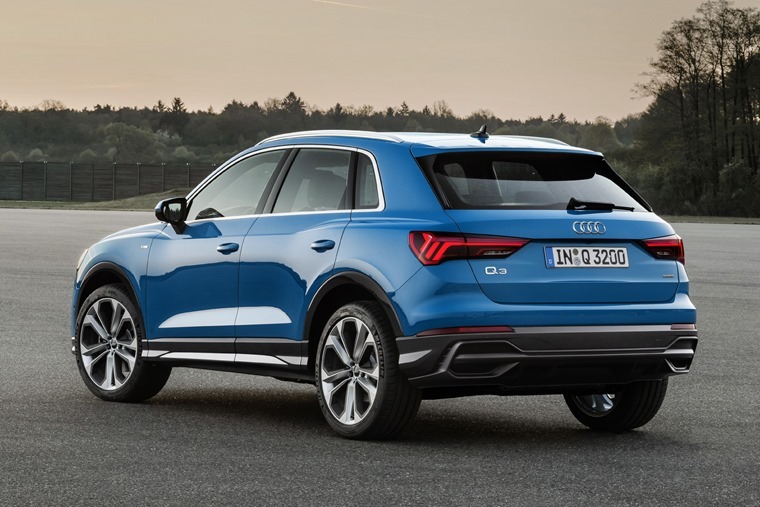 As part of the launch, Audi will offer a choice of one diesel and three petrol engines for the Q3 with the petrols equipped with Quattro all-wheel drive while the diesel will by front-wheel drive only. The range kicks off with the 35 TFSI, a 1.5-litre turbocharged four-cylinder petrol offering 148bhp and 250Nm of torque. Above that sits the 187bhp 40 TFSI and the 227bhp 45 TFSI, both of which are a 2.0-litre unit. These will all be launched with an automatic gearbox. 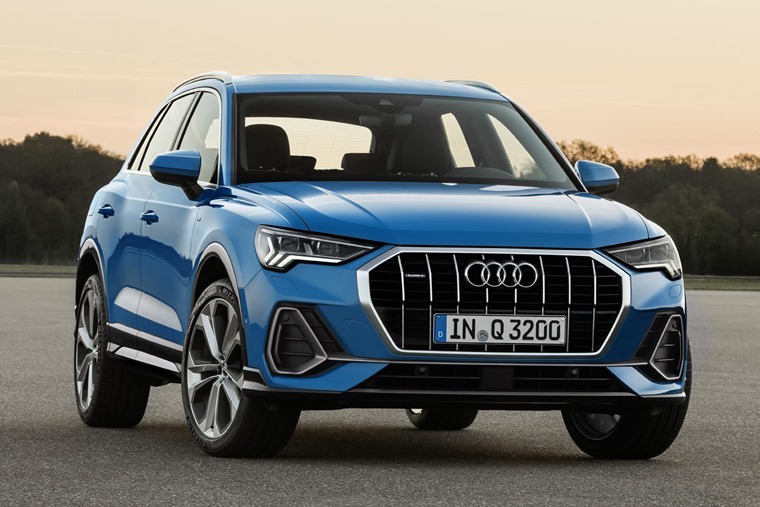 The new Audi Q3 will be manufactured in Hungary, with vehicles open for order in the autumn ahead of deliveries across Europe from November 2018. Prices are TBC.